The Quad 80 is our best water conditioning system! This system provides soft conditioned water 24 hours 7 days a week for the whole house. You will never run out of soft conditioned water. It never goes into a hardwater bypass during regeneration which means you always have soft conditioned water. Ideal for large families and households that work shift work. The Quad 80 Conditioner is an on demand system, so it only regenerates when it is needed. No time clocks needed as the function is all based on water usage by the occupants. Larger filter tanks and 1” full ported manifolds throughout for exceptional flow rates. Never any drops in water pressure from the system. 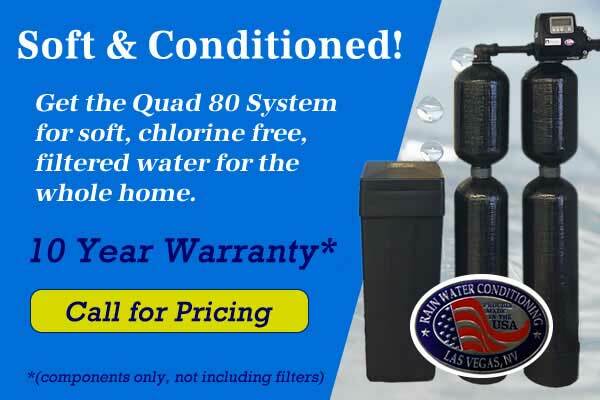 Rain Water Conditioning offers custom water softeners specifically designed for the hard Las Vegas water. The hard water in Las Vegas is bad on appliances, is bad for cleaning and it is just unpleasant. We want you to start enjoying your water with a Rain Water Softener! Saves up to 80% on soaps, shampoos, detergents and cleaning supplies. 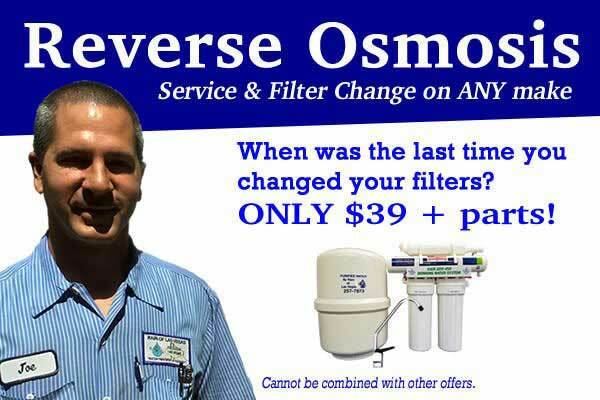 Increases the life of water heaters, plumbing, faucets, shower doors, and other water appliances. Cleaner, longer lasting clothes and laundry. If you are not sure if a water softener or a water conditioner is best for you, give us a call to talk about the different types of water treatment. We are happy to give you more information over the phone and a free estimate.